Kristof is UK divisional CFO at IVI, the largest global provider of IVF and related fertility treatments. With over 70 clinics in 13 countries, IVI has helped bring more than 115,000 babies into the world. 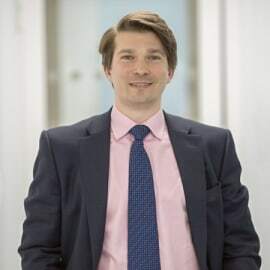 A seasoned healthcare executive, Kristof has held senior leadership positions in the UK for the past decade and has a keen interest in leveraging new technologies in the sector. He has been involved with 2 successful start-ups in the UK and overseas, including as co-founder of a multi-site private healthcare business in Australia. He enjoys the challenge of a dynamic business, and brings a project-oriented mindset and deep respect for people to his work and daily life. Originally from New York, Kristof is a graduate of the USC Marshall School of Business who spent the first decade of his career as an investment banker with Houlihan Lokey in Los Angeles, Paris and finally London. He now makes his home in rural Oxfordshire and is an occasional guest lecturer at the University of Oxford.